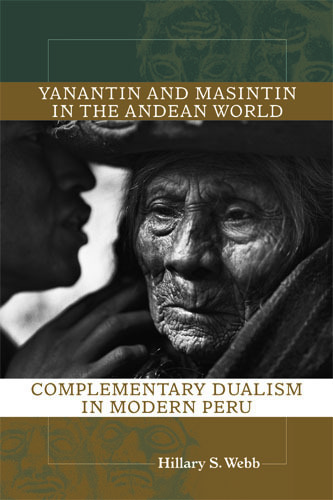 Yanantin and Masintin in the Andean World is an eloquently written autoethnography in which researcher Hillary S. Webb seeks to understand the indigenous Andean concept of yanantin or "complementary opposites." One of the most well-known and defining characteristics of indigenous Andean thought, yanantin is an adherence to a philosophical model based on the belief that the polarities of existence (such as male/ female, dark/light, inner/outer) are interdependent and essential parts of a harmonious whole. Webb embarks on a personal journey of understanding the yanantin worldview of complementary duality through participant observation and reflection on her individual experience. Her investigation is a thoughtful, careful, and rich analysis of the variety of ways in which cultures make meaning of the world around them, and how deeply attached we become to our own culturally imposed meaning-making strategies. Hillary S. Webb is the managing editor of Anthropology of Consciousness, the peer-reviewed journal of the Society for the Anthropology of Consciousness.